Another award winning Jeff Shelton design featuring exquisite Moroccan and Spanish influences by way of custom iron, tile and sculpture work throughout the property. Come home through the open-air courtyard with fruit trees and fountains. Enter through beautiful, custom doors into the grand open floor plan with 11’ ceilings. The ensuite guest quarters feature a private entrance and a sitting area/office. A +/-2,536 square foot single level retreat, served by your private elevator offers endless luxury. 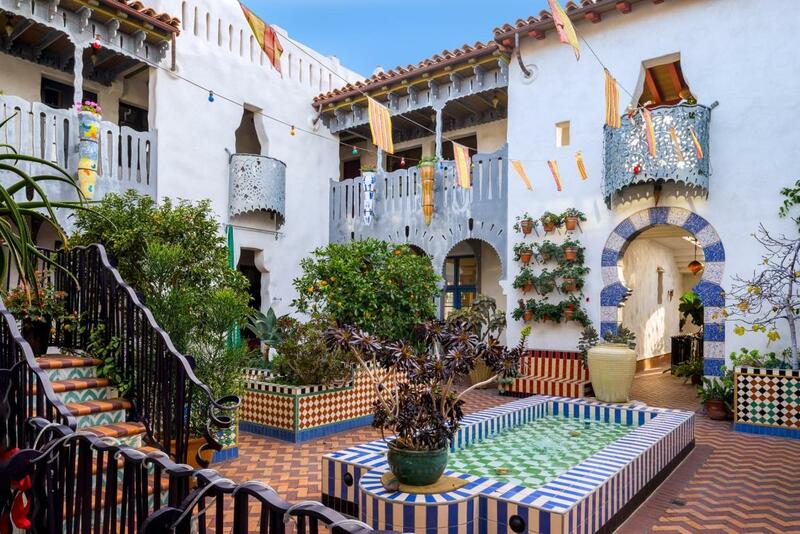 Sited in the heart of Santa Barbara’s Farmer’s markets, restaurants, luxury shopping and the Santa Barbara Film Festival, with a Walk Score of 98, this is the perfect in town hideaway. Live in a work of art, the epitome of Santa Barbara living.